Despite Anime Boston being over, I’ve been super busy forging creatures! I had quite a few people at the con ask for custom creatures and other commissions, so I’ve been working hard to make these folks’ wishes into fluffy creature companions. Like this custom Microraptor art doll! This is a character that has a lot of meaning to their creator, and I was so excited to get to bring them to life! This has to be one of the most eye-catching custom creatures I’ve ever made. I love the rainbow of colors in the design, and I had a lot of fun seeing everything come together. There was some experimenting I had to undertake, too. This is a slightly different version on my usual raptor design. The character is a Microraptor, which means it has wings on its arms AND its legs, so I had to do some work to get those wings to work properly. I’m very pleased with how it came out in the end. 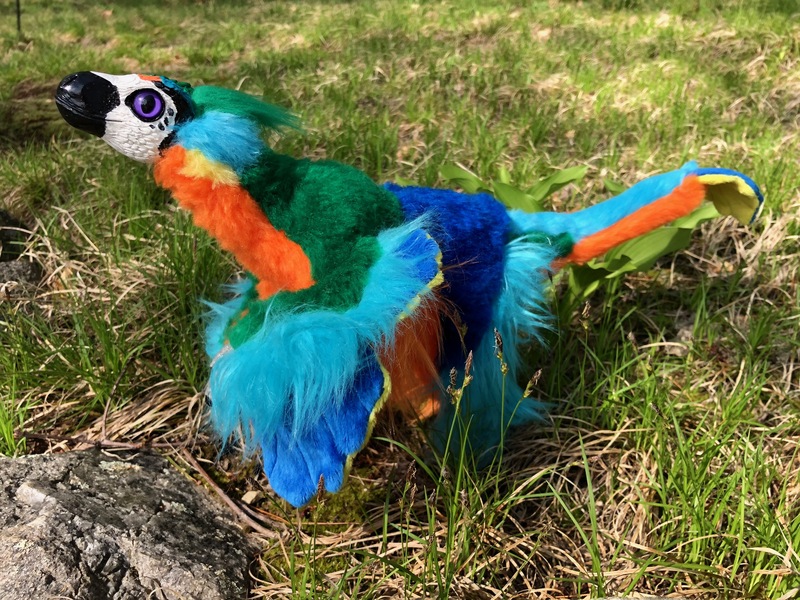 What’s really fun is this creature is just about the correct size an actual, living Microraptor would have been back in the day. So paleontology geeks like me can feel especially happy. Alas, despite scientific accuracy, raptors can’t actually fly, but they do love it when you hold them up and go “Nyoom!” around the house with them. 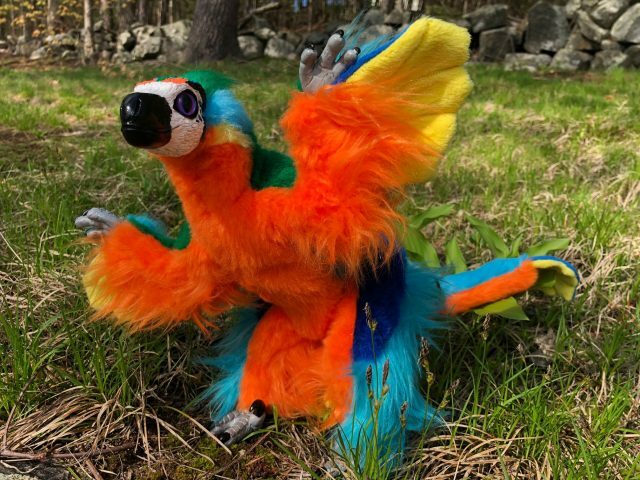 I’m debating whether I want to start offering raptor variants in my shop with wings on their arms in addition to the long furry floof my current ones have. So I’ll put it to you folks out there. What do you think? 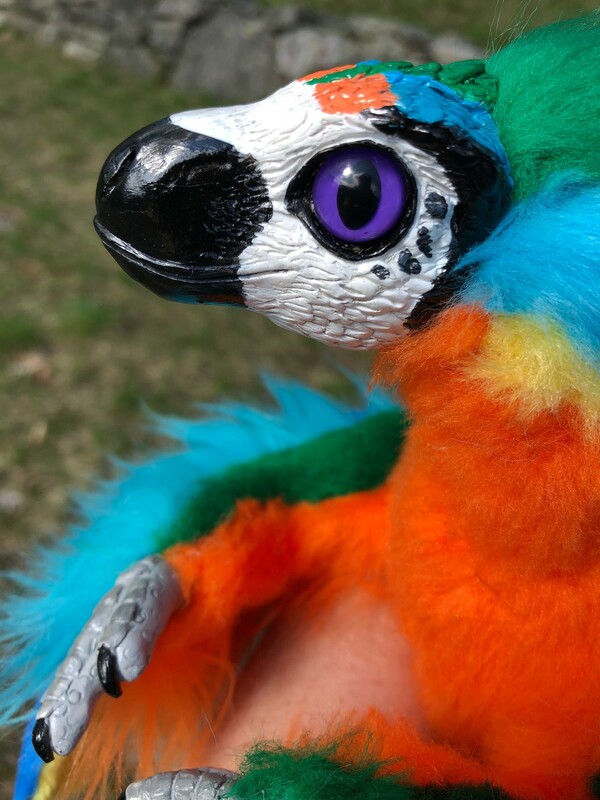 Would you prefer to adopt a raptor that has wings on its arms to give it a bit more paleontological accuracy? Or do you prefer them the way they are? Inquiring creature-makers want to know!